Commuters ride the Metro-North train from Stamford, Conn. to Grand Central Terminal in New York on Thursday, February 16, 2012. The retooled state budget under debate by the state Senate on Tuesday nixes a proposal to spare Metro-North Railroad riders a planned 2013 fare increase while also cutting dedicated funding increases for transportation through next year. Connecticut Rail Commuter Council Chairman Jim Cameron said elimination of an earlier plan to cut the 4 percent fare increase to take effect in January, along with millions in transportation funding cuts, are unfair to state commuters and travelers. Cameron thanked state Rep. Kim Fawcett, D-Fairfield, for earlier amending the budget revision package earlie to include the 2013 fare reprieve. "I'm profoundly disappointed the Legislature has chosen to close the budget deficit on the back of commuters by reinstating the fare increase and dipping into the Special Transportation Fund," Cameron said. "The Special Transportation Fund has lost its focus and it's not a transportation fund, it's a slush fund to be dipped into seemingly at will." 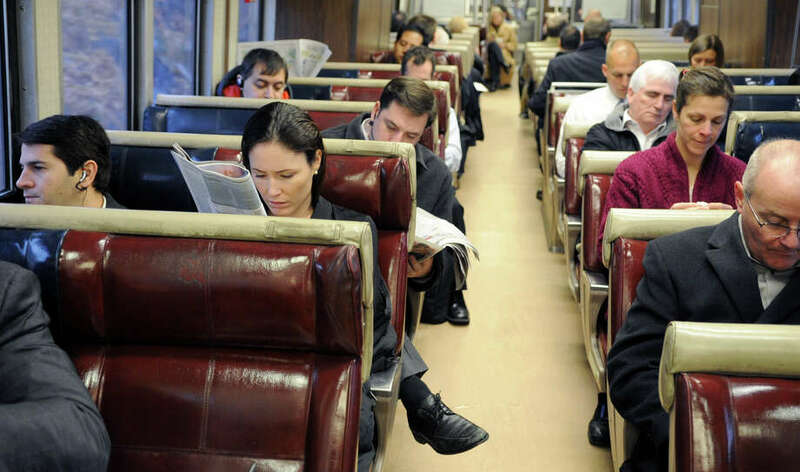 The Legislature's Appropriations Committee in late March eliminated the first of three consecutive 4 percent fare increases that are part of a plan to raise Metro-North's New Haven Line prices by 19 percent over seven years. Benjamin Barnes, Malloy's secretary for the Office of Policy & Management, said the cuts to revenue for transportation spending were tough, but necessary decisions to offset the unexpected declines in some revenue that don't negatively affect the health of the Special Transportation Fund. The cuts include $30 million in general revenue designated for Town Aid Road grants awarded to municipalities for paving and other restoration projects, which instead must be maintained by borrowing, Barnes said. The 4 percent fare increase will bring in about $4 million, Barnes said. "I'm not going to say those cuts aren't difficult to make, but the health of the fund is not impacted by this," Barnes said. "The drop in revenue to the Special Transportation Fund is offset by reduced expenditures in the fund." State Rep. Gail Lavielle, R-Wilton said she and other Republican legislators consider the diversion of planned transportation spending to cover general government costs as the result of the inability to gain adequate wage and other concessions from state workers during last spring's budget crisis. The cuts extend the legacy of previous administrations of underinvestment in transportation, especially the New Haven Line. The cuts to transportation spending include a $24 million reduction in proposed bonding for transportation projects, and reduces the balance of the Special Transportation Fund by $8 million, according to the bill. "What in essence has happened there were agreements with state unions in which we guaranteed them four years without layoffs and in return we didn't get much," Lavielle said. "The agreement really hamstrings the state if it needs to make more cuts in coming years." Through 2016, Connecticut is expected to need about $2.4 billion to finish maintenance and preservation projects required to maintain transportation infrastructure in "good repair, " including some highways and bridges built in the 1950s and 1960s, according a January 2011 report submitted by a transportation working group that worked as part of Malloy's transition team. Over the past seven years, the Special Transportation Fund has increased its commitment to transit by $57.5 million a year, an increased share paying for projects such as the $866 million for the state's new 380 fleet of M-8 railcars, not including a $93 million order for 25 additional cars Malloy ordered, according to the Department of Transportation. Barnes said that the $200 million plus deficit being made up for with cuts doesn't impact Malloy's earlier commitment to supporting transit improvements. "I'm not going to say that the decisions are ideal but we had to close a few hundred million revenue shortfall over an already very lean budget," Barnes said. "It's part of a package which deals overall with the responsibilities we face."